Karaganda is Kazakhstan’s first airport to have been awarded RA3 (third-country regulated agent) certification for cargo operations by EASA, confirming that its handling procedures for cargo and mail carried to the EU meet the Union’s security requirements. EASA validated Karaganda in keeping with a series of EU regulations, which establish the security requirements for non-EU airports and carriers involved in the transportation of cargo and mail to EU countries. The validation inspection at Karaganda covered, among other things, the airport’s infrastructure and security system. RA3 certification enables airports to make their own decisions as to the current threat level. Karaganda’s current certificate is valid until June 10, 2021. The validation inspection at Karaganda was initiated by the airport management. Located 212 km away from Kazakhstan’s capital city, Astana, the airport strives to become the country’s central multimodal cargo hub. 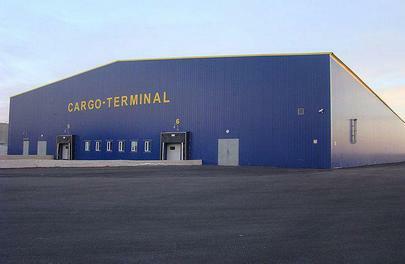 Karaganda’s existing infrastructure allows for the processing of up to 18,000 tons of freight annually. A statement on the airport’s website reads that, according to market studies, the main way to boost revenues is by serving foreign cargo aircraft transiting through Kazakh airspace with a technical stop at Karaganda. EU regulations also read that non-EU airlines wishing to carry cargo to EU airports also have to undergo similar security validation inspections, and to be awarded ACC3 (Air Cargo or Mail Carrier operating into the Union from a Third Country Airport) certification. This requirement became mandatory on July 1, 2014. At present, the EU still allows cargo and mail to be carried from non-EU airports that have not yet passed the validation procedure. Earlier, Russian private air cargo company Volga-Dnepr Airlines complained about what it described as excessively stringent aviation security requirements in the EU. The operator said in a statement: “In effect, the new regulation unilaterally introduces more stringent requirements for Russian airlines involved in the transportation of freight and mail to the EU. The introduction of these new standards will considerably complicate the existing cargo carrying procedures, and will result in additional financial and operating expenses for Russian operators.” It should be noted that Volga-Dnepr already holds an ACC3 certificate. According to IATA, the new rules means that around 3,000 cargo handling entities in non-EU countries will need to be validated by 2019. Seeing as certificate are to be renewed every five years, the industry is expected to incur between 18 and 60 million euros in associated costs during this period.